Here we have some new pencils in the Supply Room. Starting on the left is a A110 CLEAN Pentel pencil. Next is a vintage Pentel P1075 with the old green eraser and needle for clearing broken lead. Thanks Germ. Next are five new P205s in new colors. You have Serenity Blue, Navy, Coral Pink, Off White and Baby Pink. These pencils have the words "Automatic Pencil P200 0.5mm and a small P205 printed on the side. Last is a new Parker Jotter with "100 years, Open House August 12,1988 printed on the side. The five P200 pencils came from www.tokyopenshop.com . Add all these great new and old pencils to your collection. Top two rows of this case are all Papermates. The two movies that were renting pens have both returned them to the Supply Room. I have added a few new ones so I am running out of room. Bottom row left has three non working Papermate Holiday pens.The rest of the row are Profiles and Caprices. All of them work. I cleared out some BIC pens so I could add more Papermate Pens. Top row are Malibu and Contour pens. Bottom row are 98s and more Holidays. All the pens in this case work. The three loose pens are in the daily rotation. Add them all to your collection. Here are my Papermate Malibu pens at the time I wrote this post. I have more on hand because I opened the pens that I showed on 10 December Papermate and Sheaffer pen and pencil post. The reason I have so few of these pens is that I have three sets out on movies. Two sets are to be returned and one was sold. Malibu are very collectible and are still fun to use. Refills are still made. These are all in very good condition. Add them all to your collection. Here we have the newest addition to the Blackwing family. These are the Gold Blackwings Vol 530. The number 530 is a tribute to Sutter's Mill California Historical Site No. 530, where gold was first discovered. Avery nice gold color, black eraser and black lettering. Add a box to your collection. A nice early Christmas for me down in the Supply Room. Here we have a collection of Malibu and Contour pens. I have since taken them out so I can put them in cases but they are great to look at on the cards. Here we have some Sheaffer Ball Point pens, a Sheaffer pencil and a Sheaffer Stylist pen. I love the pictures on the carded Sheaffer pens. These were also taken out of the cards and put in cases. All these pens are to be used on movies or TV shows if called for. Very popular pens because the refills are still being made and they work. Add them all to your collection. Just received this nice book on stationery call Stationery Fever. Anybody with any type interest in stationery should pick up one for themselves or as a gift. Friends of the Supply Room "Rad and Hungry" are in this book. I picked up my copy at Amazon. Add one to your collection. Here we have some new pens in the Supply Room. On the left we have a complete set of Caran d' Ache Pop Dots pens. Next is a complete set of Street Art pens. Last is the Fluorescent orange pen. May start a collection of the other great Caran d' Ache pens. Add them all to your collection. I have posted the two plastic pens before but the metal Non Nonsense pen is new to the Supply Room. In fact I had never seen a metal No Nonsense pen before. Well here it is. This one has advertising on the side which bothers some people but not me. These three are roller ball or ball point pens. Add them all to your collection. Here we have two packages of BICs that are hard to find. On the left we have the BIC Wavelengths that Glow In The Dark. I'm a big collector of things that glow in the dark so these have been at the top of my want list. I do have two individual pens but not the complete set. On the right are the BIC Whirls Wavelengths. A very popular BIC to collectors and one of the best looking Wavelengths around. I don't know why BIC quit making these type of Wavelengths. A nice glow. Add all these great BICs to your collection. Here some time back I was asked if I had any BIC pens for sale or BIC starter sets of US made BIC pens. Answer now is I do. Here we have F25 Fine Point pens and the AF-49 Accountant pen by BIC. As you can see from the picture many of these pens have the extended plug and the cap with no hole. Both safety issues that were later corrected by BIC. Collectors always want the ones with extened plugs. I chewed on plenty of those. Here we have a few BIC Cristals with the extended plug. Don't have many of those. Here we have a few layed out as sets. AF-49 black, AF-49 blue with extended plug, AF-59 blue, BIC Cristal, and Yellow Fine Point blue or black with extend plug. Nice selection of late 50s and very early 60s pens with one pen and pencil set. Sheaffers on the left then Papermates and on the bottom are Scriptos. The hardest to get to work are the Scriptos. Two identical pens and the refills will not work in one of them. The movie is called "Flock of Four". Add all these great old pens to your collection. Once n a while I run across a very nice vintage pen and pencil set. Here we have a H1505 Pilot 0.5mm pencil and the matching ball point pen. Pen uses standard Pilot pen refills. Don't know the age of the set but the pencil still has the old eraser with the needle in the bottom for clearing broken lead. The set does not appear to have been used and I picked it up for less then $20.00. Add this set to your collection. Here we have a older version of a S59 but with a red ribbed grip. Here we have a new Pentel Clic Roller. The top gold pen is a RC250 and the white with black stripes is a RC26. The Gold RC 250 is one I have never seen before. Pentel does not make the refills anymore but there are still many users and collectors of these great pens. I lost the email from a collector who had made a refill but I don't have that info anymore. Add these great pens and pencils to your collection. Another new Moleskine notebook for the collection. This is one of the new Superman books. Then we have the new BB-8 Cross Clic Writer. Still missing the C3PO Cross. Last are the new Blackwing VOl. 344. These pencils have a red tint on the barrel and a red holder for the eraser. These pencils, Blackwing 344 celebrates the 80th anniversary of the historic photo and artistic legacy of Dorothea Lange. Not much to say. Saw the Captain America over at Office Supply Geek so I added one to my collection. While I was shopping I also picked up the Beatles notebook. Add them all to your collection. Little over a month ago I got a call abut another movie. This one will take place in the 60s. This was the second movie this year. Sheaffers, Parkers, Papermates across the top. Lindy and Scripto on the bottom. BIC pens. This time the pens are being rented by the movie company. Replacement cost on some of the old ball points is getting out of hand. I try and keep a good stock of pens and pencils on hand at all times. Many of the refills dry up so I am always buying replacements. Add them all to your collection. On my previous post I could not get a good picture of the 4.5 billion year old Meteorite that is mounted on the cap of this great pen. Here she is. I do like ACME pens and I have at least four. Sometimes I like to change out the grips. They have three types. They all come with the black smooth plastic grip on the left but for about $12.00 you can get the metal or my favorite the black rubber grip. Add all these great pens to your collection. I have been waiting to show this set of five Space Pens for some time. Top we have the ACME Rocket Hero Buzz Aldrin Roller Ball Pen. Top right is the Retro 51 Apollo 1961-1972 Pen. Below Buzz is the Fisher Space 45th Anniversary Moon Landing Pen. To the right we have the Fisher 50th Anniversary Bullet Pen. Last is the Infinity Roller Ball Pen from Kickstarter with a 4.5 billion year old meteorite under glass in the end of the cap. The last pen received in the Supply Room was the Infinity. Best for last. Very nice Fisher Space Pen that will fit in your pocket. This is a nice pen. Retro 51 pens are always welcome. I think I have 5 ACME pens. Great graphics. It is a very nice all black roller ball that feels good in the hand with a piece of history on the end. 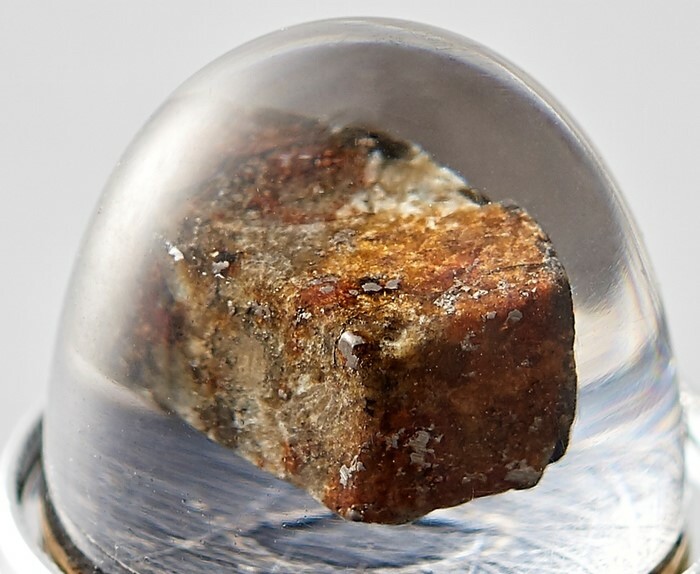 This was the meteorite that landed in Russia in 2013. I signed up on Kickstarter for this pen. Hard to see but there is a small piece of meteorite. I can see some yellow, brown maybe a little orange color neatly placed in glass or plastic at the end of the cap. These pens willl be for sale once all the Kickstarter pens get in the mail. I believe you will be able to get a ball point or a fountain pen if you are not up for a roller. 4.5 billion years old. Add them all to your collection. I have a few pens and pencils made by the Blackfoot Indians so when I saw this box I picked it up. They have been making pencils for some time when they bought the Lindy Pen Company in the 80s. Not long after the Lindy Pen Company died. Don't know if they are still making pencils. Don't plan on using these pencils so I can afford to give a few away. Any pencil people interested just email me at moose@hot.rr.com. US only. Add them all to your collection.